and talk about how to make a living online. 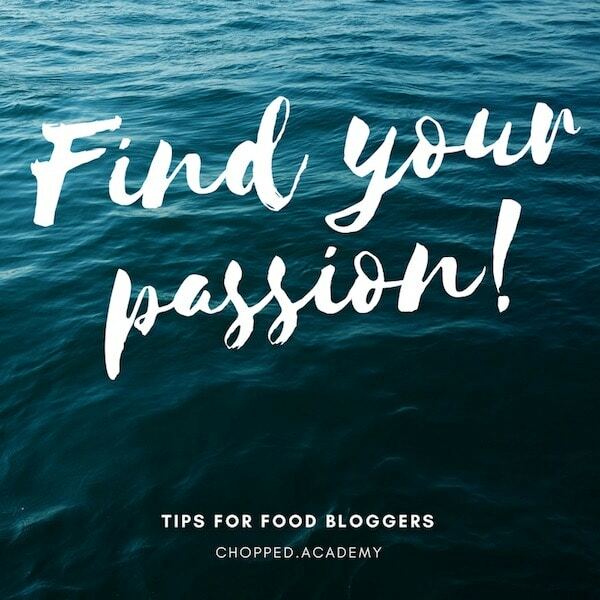 I know I oftentimes describe this community as “food bloggers,” but I also welcome those of you who don’t do food but you’re finding inspiration in this show as well. Welcome! I am a freelance food writer and I have to say this podcast really touches upon all aspects of the food blogging life. I love the fact that it’s not just for people who own their own blogs. I have learned so many helpful tips just by listening to this podcast. Ah, thank you Steph. Your kind words mean so much. Don’t you love it when you hear positive feedback like this? I read recently if there’s something you’re not getting enough in your life, let’s say its positive feedback, then you need to give more of it in the world! You have to give what it is you want to receive. I know it sounds a little counterintuitive, but then again, it makes complete sense. 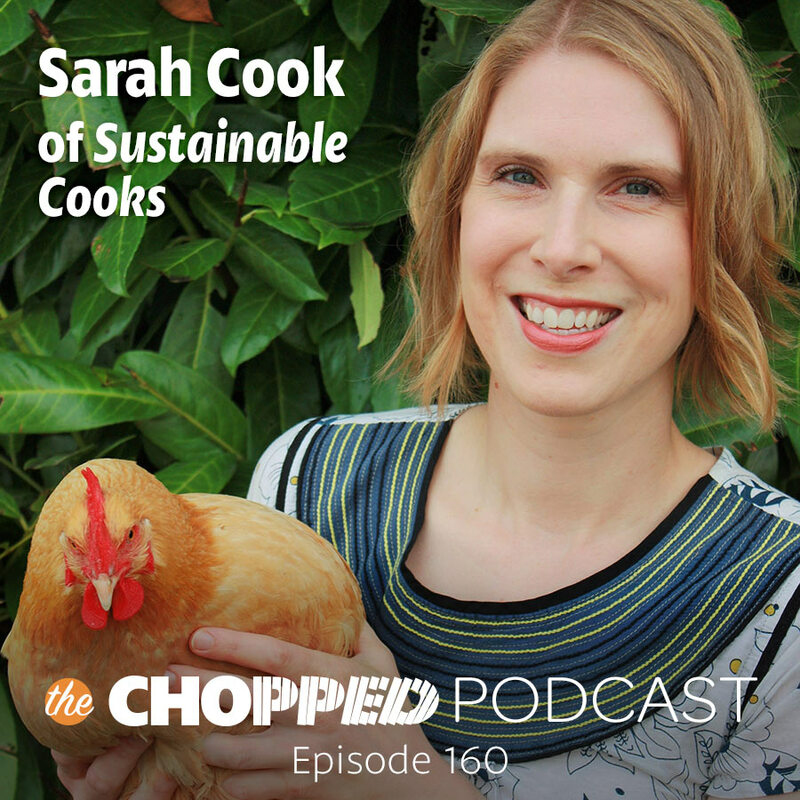 I’d love to share you as a featured listener in a future episode, just leave a review of the Chopped podcast on iTunes (see link below). We’ll be in a positive feedback loop together! I started on blogger, went viral on Pinterest with a terribly junky post before I even had a Pinterest account(! ), switched to WordPress (changed designs and focus/niche THREE TIMES), rebranded, and along the way messed with my permalink structure and URLs to the point of almost crippling my site for a year. In a nutshell, I’ve been a hot mess who could be raised up as a beacon for your guests of what not to do. She shares how she was ready to quit. And then she had a moment. You know that moment, right? The one where you realize you actually don’t want to quit; that you want to fight for the work you love. I describe it as a “find your passion” moment. Sarah had that moment and realized she loved what she was doing. 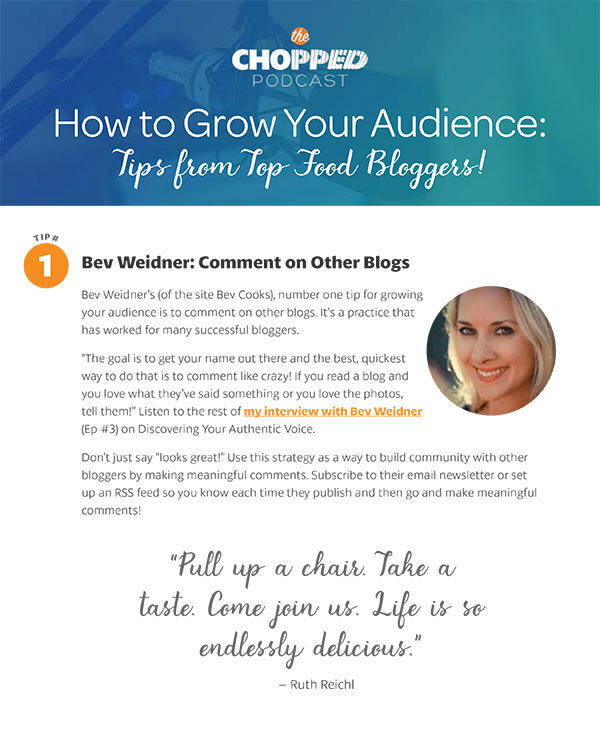 I once read a book by Marshal Goldsmith called “What Got You Here Won’t Get You There.” I think nothing could be truer about blogging. We can achieve a certain level of success, but getting to the next level, the one that will actually turn this into a business? That takes something else entirely. Sarah said she realized what she had been doing wasn’t working, not like she wanted it to. So, she committed herself to making some changes. Sarah talks about one of my favorite topics, the processes behind the scenes, including the technical side of her work. For example, Sarah describes how she uses SEO and analyzing content on her site to better understand her audience. I love how she shares about a weekly post she writes to update her audience about her life. And how to handle these posts from an SEO perspective. I love this heartfelt conversation. I think in a world where it seems like everyone appears as if they’ve got it all figured out, it’s very refreshing to talk to someone who is so willing to be raw and vulnerable like this. Order your the Chopped Instagram and Pinterest Course today!